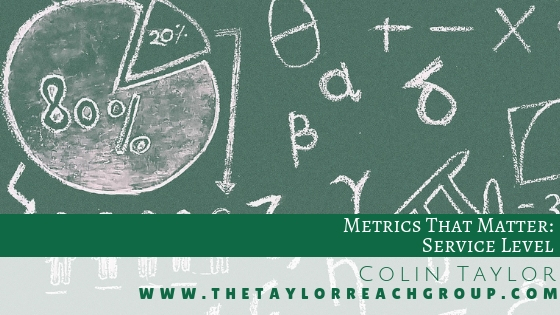 Metrics That Matter: Service Level | The Taylor Reach Group Inc.
Service level is one of the most common metrics employed at call and contact centers to define how the center is performing. Senior management becomes acclimatized to looking for that service level number and reacting to it as a gauge of how well they’re performing against targets and in meeting their customer needs. 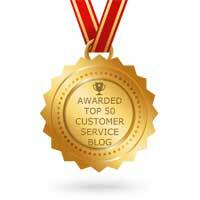 But not everyone understands what service level is really referring to. When we look at service level, we are really referring to two different numbers, the first being the percentage of calls and the second being the period of time within which that percentage of calls is answered. So if we refer to a service level as 80-20, that is telling us that 80% of the calls are being targeted to be answered within 20 seconds. The 20 seconds here is also referred to as Average Speed of Answer (ASA) or “wait time.” The 80/20 service level suggested above is actually the most common service level in place today for customer service organizations. Now of course by definition, if we’re answering 80% of the calls within 20 seconds, we’re not answering 20% of the calls within that time period. The inference there is that those calls are being answered in a much longer time period; 60, 90, 120, even 360 seconds is possible, depending on the nature of your calls, contacts, and the average handle time. Service level or total service factor; TSF, as it is referred to in some telephone systems; is a fairly standard metric you’ll find in most ACDs, which means that you can establish a report and a reporting protocol that’ll generate performance reporting against this standard. It’ll tell you every day what percentage of your calls were answered within a 20-second period. So, you may find that on day one you’re at 83%, but on day two you’re at 78%. You can even look at this on an inter-day measurement basis; every 15, 30 minutes, 60 minutes; and gauge your performance against that target that way. This post is also available as a video post on our YouTube channel. Click to watch the video here. To find out more about how Taylor Reach can help your company with service levels and ASA, CLICK HERE to schedule a free consultation.